screen printing in san luis obispo. custom t-shirt. 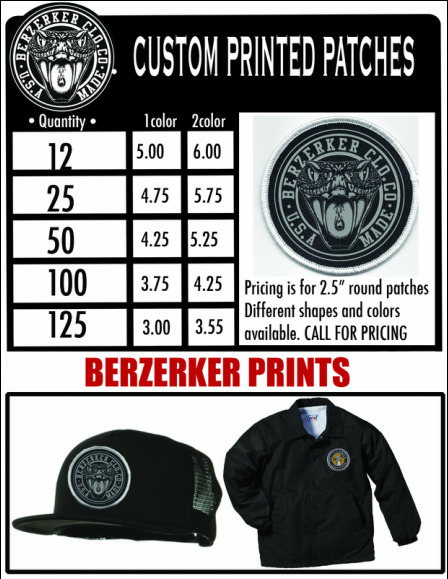 graphic design - Berzerker PRINTS Screen printing in san luis obispo county. Need your prints in a hurry? We offer a rush service. What else can I print on besides t-shirts? All types of clothing, bags, hats, stickers, banners etc.